recently borrowed from a friend... "The One Minute Manager"
I came across these at a NBS sale today. I know I have too many unread books but this bargain just seemed too good to miss out on. Another awesome find at Booksale. Ok, so this was another batch of impulse buys. BUT THEY WERE ON SAAAAAAALE. 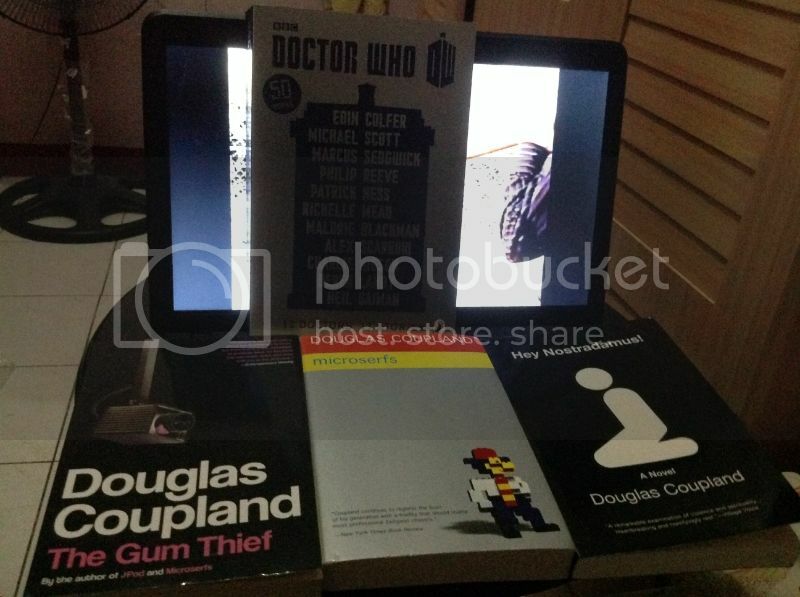 I bought them at 50 pesos each except for the Doctor Who book. That one was a gift. This is the first Neil Gaiman book I read. I also have a copy of The Graveyard Book which I haven't read yet. Good omens by neil gaiman and terry pratchett. Saw this new edition by orion books as I was walking pass Fully Booked's store window, ran in and bought it. @laila: shatter me series has a lot of hype from book bloggers and booktubers. Is it that really good, lai?